Are you a curious little person? Do you love animals – especially wild ones? Then follow the clues in here to see who is living near you! You don’t need to visit a zoo to see wild animals in the city. This simple first series shows you the hidden lives of urban animals that you can spot all over town. (Some more easily than others.) OK: some of them are often regarded as pests. But they’re real wild creatures all the same, with their own amazing behaviours. 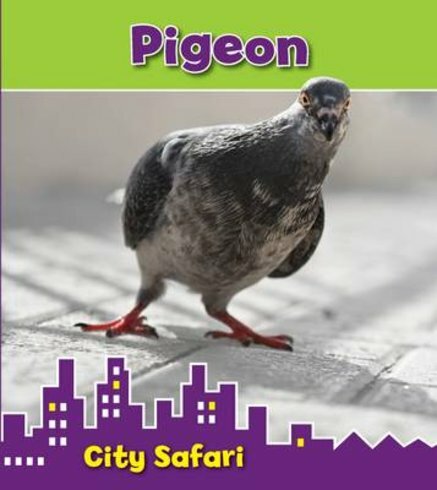 Say hello to the pigeon: often taken for granted, but able to carry messages and even save lives! NC560L Lexiles are the global standard in reading assessment. They are unique as they are able to measure a child and a book on the same scale – ensuring the right book gets to the right child at the right time.